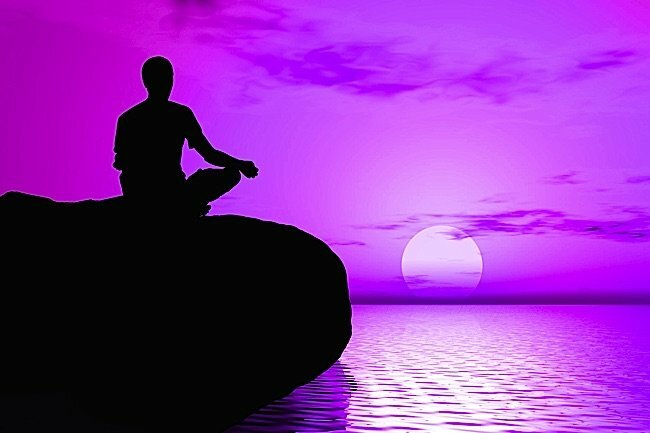 When we think of calm-abiding meditation, we might think of breath as the focal point of meditation. In-out. Follow the breath. Breath, as a focal point, however, is just one of many targeted calm-abiding meditations. Breathing mindfulness is specifically recommended for people who are dominated by “conceptuality,” and who are unable to see beyond ordinary appearances. 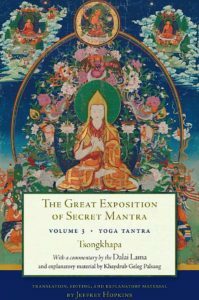 The Dalai Lama, in his teaching commentary on Lama Tsongkahapa’s The Great Exposition of Secret Mantra (Vol.3), provides significant guidance for students. 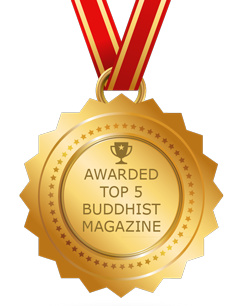 In this feature, we’ll focus on the advice of Shakyamuni Buddha, His Holiness the Dalai Lama, and the great Lama Tsongkhapa on topics for calm abiding meditation that suit your obstructions. 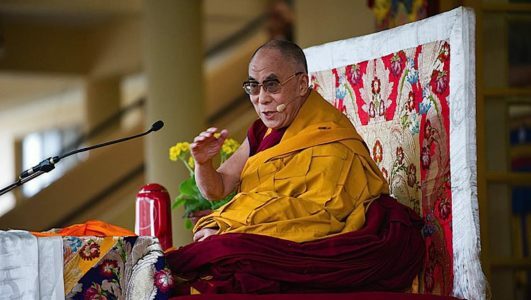 Teaching from the Dalai Lama quoted from the commentary to The Great Exposition of Secret Mantra, Volume 3. 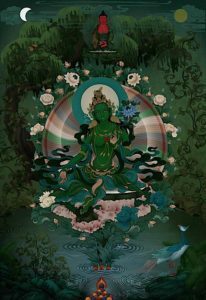 Whether we choose to visualize a Buddha, focus on a mantra, or just on our breath, depends on the result we expect or hope for. 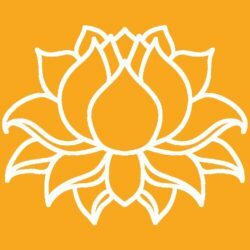 For calm-abiding meditation, the Dalai Lama and Lama Tsongkhapa teach that the object of meditation should be determined, in part, by the obstacle or troublesome stress in your life. Conceptual — main focus: breath. Desire — main focus: meditate on “ugliness” such as the organs, faeces and blood of the body. 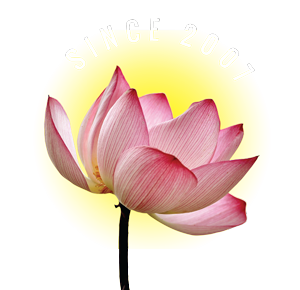 Hatred — main focus: “Metta” and “love” meditation, Bodhichitta, loving kindness. Pride — main focus: a meditation on the divisions of the constituents (fire, water, earth, wind, space and consciousness: breaking them down to their respective constituents, such as, for earth: flesh, skin, bone.) By breaking down the constituents to it’s insignificant components you lose the inflated ego, and realize. Obscuration and dullness: meditate on the twelve links of dependent arising of cyclic existence because it sharpens thinking and intelligence. 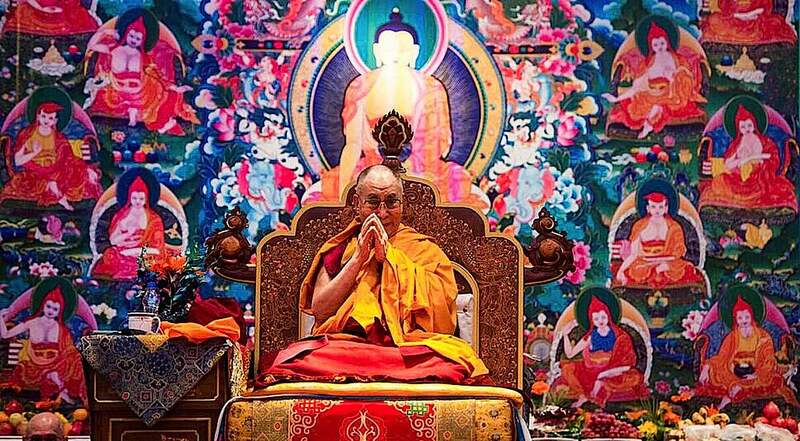 HH the Dalai Lama in front of a sacred thangka depicting Lama Tsongkhapa. 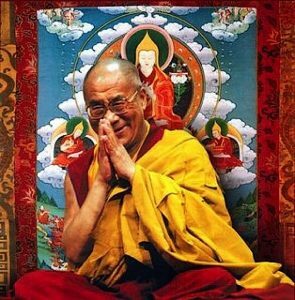 Lama Tsongkhapa wrote The Great Exposition of Secret Mantra on which the Dalai Lama offers commentary. 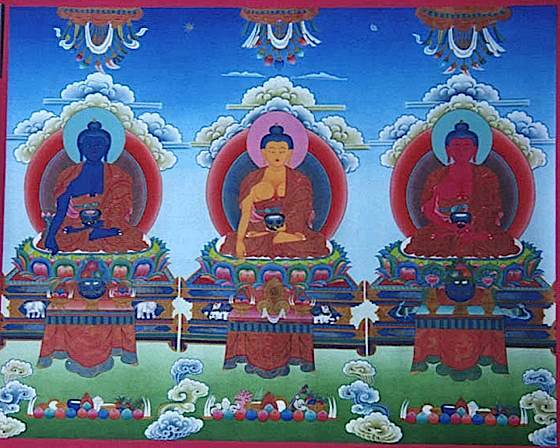 Medicine Buddha (left), Shakyamuni Buddha (centre) and Amitabha Buddha (right) are among the most popular Buddha Body visualizations. 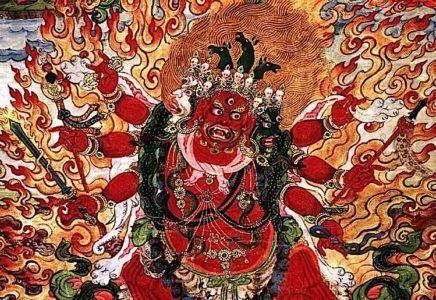 White Mahakala for general “desire”; Kurukulle, another wrathful emanation of Tara is also recommended for “desire”. The terrifyingly beautiful visualization of the most “Powerful of Herukas” Hayagriva. This stunning image is from a Rubin Museum canvas dated between 1800 and 1899.
staying one-pointedly on the object. The two factors that prevent this are laxity and excitement. “Laxity prevents the development of clarity, and excitement prevents the stability with the object,” writes the Dalai Lama. “It is not sufficient just to have stability; clarity is also needed. That which prevents clarity is laxity, which is a case of the mind’s becoming too relaxed, too loose, lacking intensity — the tautness of the mind having become weak, caused by over withdrawal inside. It’s irresponsible to suggest anyone can “up your horsepower” by meditating on a wrathful deity. These require initiation and instruction by a qualified Vajra Master. Thanks for your comment. 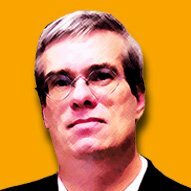 Perhaps the tone was too light, or it was a language choice issue — we did mention initiation). 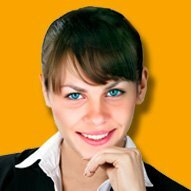 This is the line you refer to: “If you are really stuck, you can also “up” the horse-power in your practice by meditating on the “wrathful” emanation of the same deity (assuming you have permission or empowerment).” The intention of “assuming you have permission or empowerment” was meant to cover it.